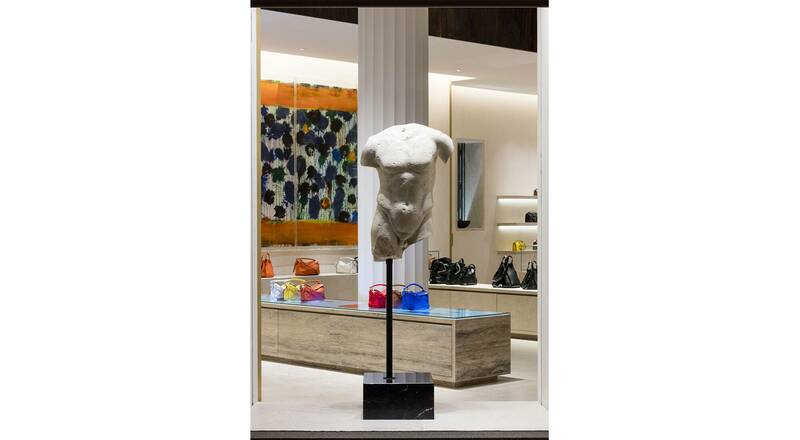 Loewe has unveiled CASA LOEWE Madrid, an innovative concept envisioned by Creative Director Jonathan Anderson, which explores the roots of a House where fashion goes hand-in-hand with art. This first flagship in Spain, and also the largest, has taken up residence in a historic building in the capital. 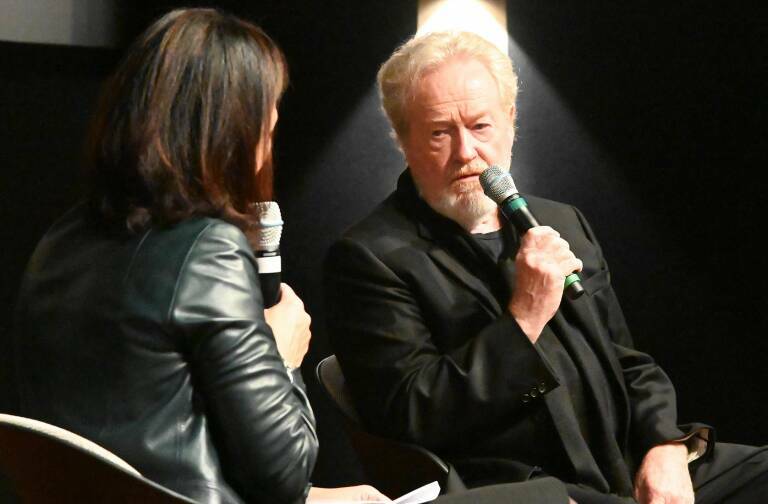 Founded in 1846, Loewe is now reconquering the city of its birth with a one-of-a-kind flagship. 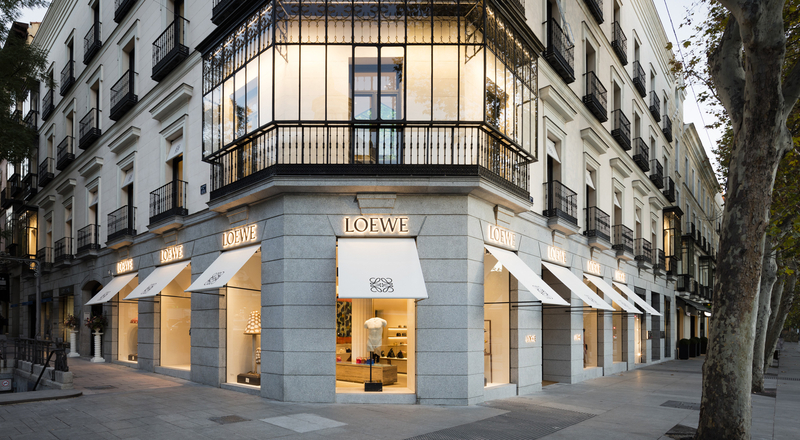 Located in the heart of Madrid, the new space, which extends over 1,000 m², showcases the entire spectrum of the Loewe universe. The men’s and women’s collections are complemented by specialized departments for exotic leather items and made-to-measure. 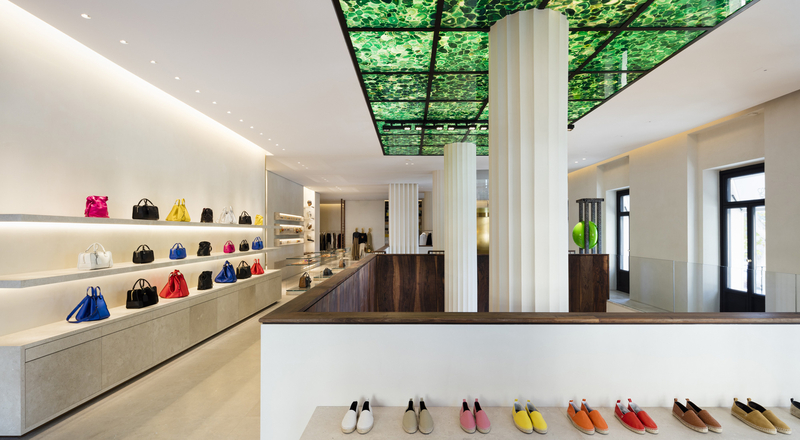 The Iberian limestone and wood interior reflects natural light on artworks meticulously selected by the Creative Director and specially acquired for the flagship store. Works by Edmund de Waal dialogue with others by Richard Smith, Gloria Garcia Lorca and Sir Howard Hodgkin. 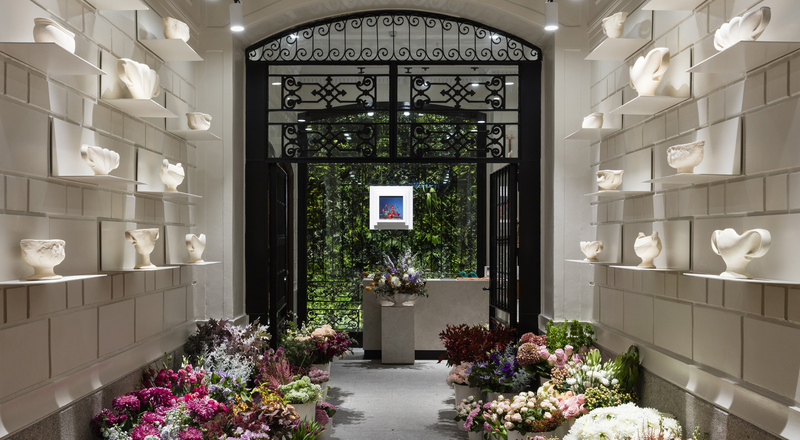 Inspired by the life and work of the British author and florist Constance Spry, CASA LOEWE also incorporates a flower shop, contributing to the space’s unique and vibrant atmosphere. To celebrate the opening of the new flagship and express his gratitude to the Spanish capital, Jonathan Anderson designed an exhibition for Madrid’s Royal Botanic Garden on the theme of past, present and future, highlighting the House’s evolution and its resolutely forward-looking philosophy. 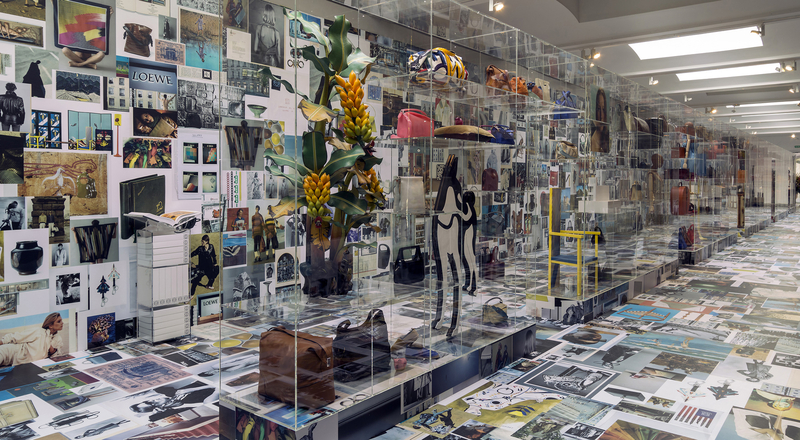 Evoking the rich history of Loewe, the first part of the exhibition displays, in a room entirely covered with images, a collection of unique archive pieces in glass boxes. 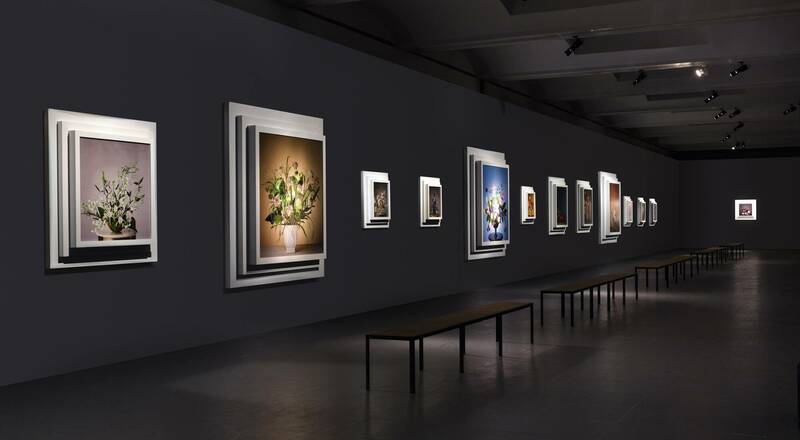 A second section is devoted to photographs of flower arrangements by Steven Meisel, whose images represent the fresh dynamism of the House. 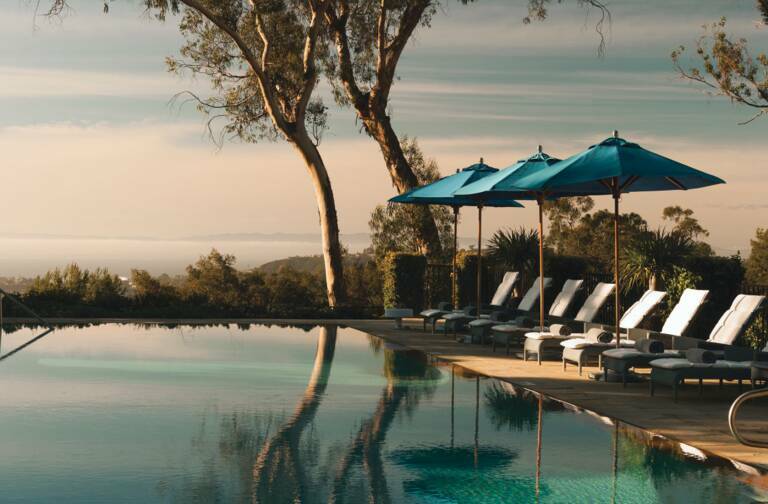 The flagship opening and exhibition coincide with the release of an album of photographs in collaboration with Spanish publisher Luis Venegas, which is conceived as a spontaneous journey through the esthetic history of the House.